Representation in long term disability cases. Representation in Individual Disability litigation cases. Representation in Social Security Disability cases. With the experience to serve you with your disability claim, Nancy Cavey has successfully represented over 5,000 clients in the past 37 years. 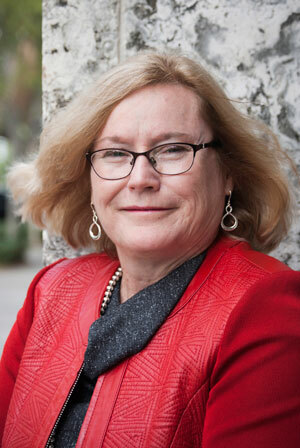 The Law Office of Nancy L. Cavey is an award winning disability law firm located in St. Petersburg, Florida, dedicated to obtaining short and Long Term disability benefits for disability policyholders across America and Social Security disability benefits for Floridians who no longer can work. Ms. Cavey’s father, who became disabled as a result of leukemia, filed for and got his long term and Social Security disability benefits. Ms. Cavey remembers, all too well, the fight for his benefits. 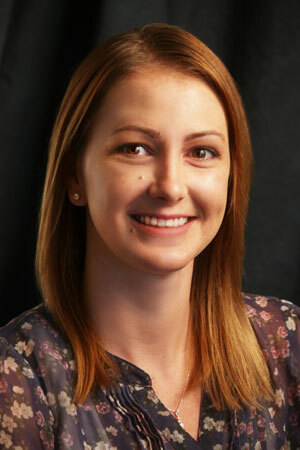 Whether you have a disability insurance or Social Security disability claim, Ms. Cavey understands the tremendous physical, emotional and financial cost of disability. 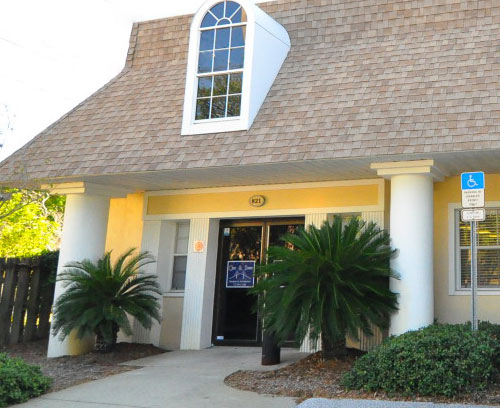 Ms. Cavey has a long history in the Tampa St. Petersburg area and all over the USA of successfully taking on disability insurance companies and the Social Security Administration. Since 1980 she has successfully guided thousands of clients through the disability claims process and recovered for them the disability benefits they deserve. Our law firm will also represent you in disability cases such as ERISA, individual disability policies, Social Security disability, and workers’ compensation claims. Request one of our free disability guides. 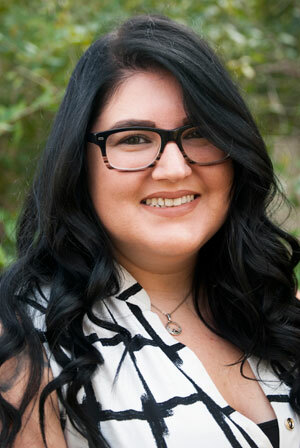 Learn why Nancy Cavey is the best lawyer to represent you. Let us know about your situation with a free consultation. Our St Petersburg Social Security Disability Lawyers are here to help you with your disability claim. Nancy Cavey has represented ERISA and Long Term Disability Clients for the past 25+ years with very successful results. Nancy Cavey has successfully represented many clients over the past 35+ years win their Social Security Disability claims in the state of Florida. Our law firm will represent you in disability cases such as Short and Long Term Disability, ERISA Claims, Social Security, and Workers’ Compensation. We represent long term disability and erisa clients all over the United States. Let us help you with your claim to get the benefits you deserve for your disability claim. We help all of Florida get the Social Security Disability benefits they deserve! Let us help you get the benefits you deserve. Below you will be able to see what our clients say about us, and the way we have handled their disability claims. My experience with the Cavey law group was nothing but professional! The entire office group, especially Dan, was very patient with all my questions & concerns regarding my case. Ms. Cavey was very supportive and showed genuine concern when speaking with me. I highly recommend this Law Office to handle your claim! Thanks so much for everything you have helped me with. With the help of this exceptional attorney and her compassionate staff, especially Stasha Tomerlin, my brother won a tough case! The dedication, ease of communicaion and care provided were excellent! Thank you so much for taking the time to not just listen but to hear me! Ms. Cavey and her entire staff listened to my situation and with organizational precision won my case. When I called, I was never treated as a nuisance, but with respect, caring, & integrity. They listened to me, they cared for me, they worked hard for me, and they won my case. Thank you Ms. Cavey & staff. You are a first class law office. Our law firm is here to help you in your time of need with your disability claim. 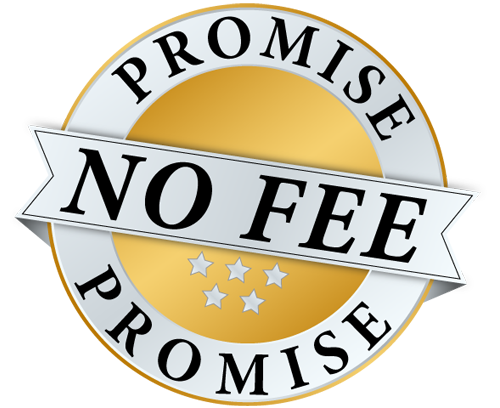 Don’t Delay – Call Today! We offer information through our informative blog that includes articles about what is happening in recent disability news, updates on insurance companies, and everything and more you need to know to stay up to date on your disability rights. We believe knowledge is power! What Does it Cost to get a Social Security Disability Attorney in Tampa? 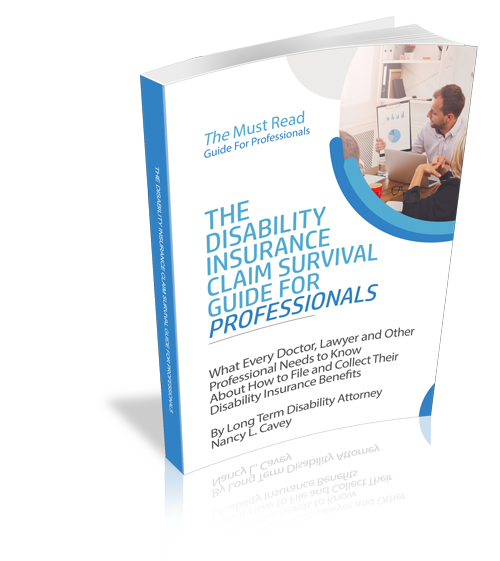 We believe knowledge is power – Nancy has written some must read guides that will help you understand the disability claims process. 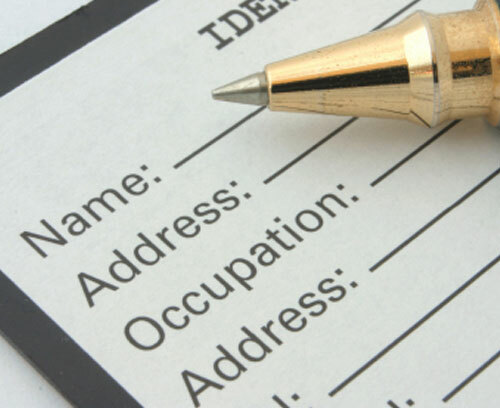 Looking for information in regards to the Social Security disability application process? Were you denied? 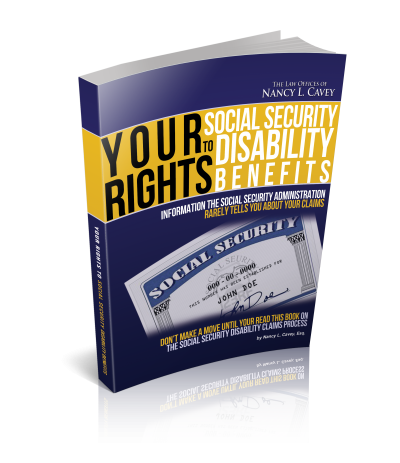 Your Rights To Social Security Disability Benefits can help! Robbed Of Your Peace of Mind? 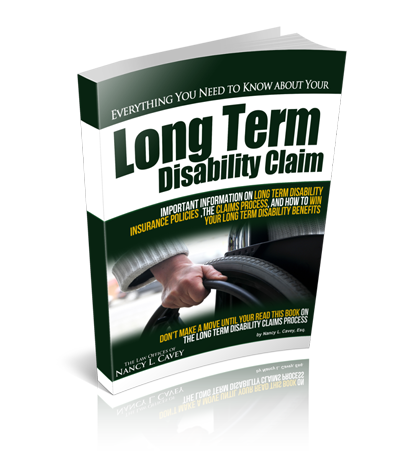 Looking for information about the Long Term Disability/ERISA disability claim process? This book explains the ins and outs of Long Term Disability in plain English. 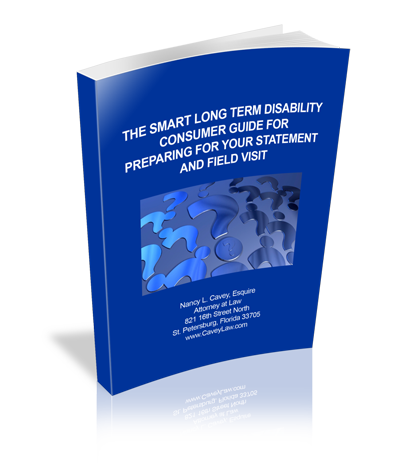 Are you preparing for your statement and field visit within your Long Term Disability claim? This is a must read about the process and what you should be looking out for. 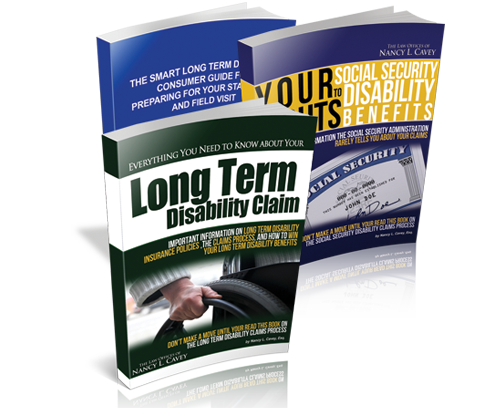 Are you a professional looking to file for your long term disability benefits? We have the go to guide for professionals like yourself that can help explain the process for you. 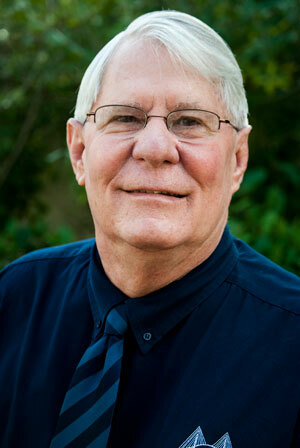 Our law office is award winning and has been featured in the press numerous times. The Law Office of Nancy L. Cavey has been awarded many presetious awards for thean 10 AV rating. This rating shows that an attorney has reached the height of professional excellence and is recognized by his/her peers for the highest levels of skill and integrity. Fewer than 5% of all law firms qualify for this rating. We take pride in helping those who would otherwise simply fall through the cracks, and we provide the full scope of our knowledge, experience and compassion to all of our clients. Our law firm is here to help you in your time of need with your disability claim.